Benchmark wedding bands have been considered the finest rings in the world for more than forty years. The reason for that is because from the very beginning of their existence they set a goal to be the best wedding ring specialists by crafting only the highest quality rings that anyone could make. You will be very pleased with the customer service you will be royally treated to, because outstanding customer service was their second goal from the time of the company’s inception forty years ago. They have lived up to the promise of those high standards. Benchmark was the first jewelry designing and crafting company to design wedding bands and rings specifically for comfort. The inside of all Benchmark rings are curved so they fit your finger comfortably. You will never feel a ring cutting into your finger. If you are attracted to the wedding bands that showcase continuous stones ringed around the band, Benchmark has many rings of that style to choose from. You can get continuous diamonds or birthstones to name just a few. Most importantly, you will be able to feel the difference in a Benchmark wedding band as you run your finger slowly around the band. The stones in the wedding bands and rings will be even. Benchmark rings use precision stone setting methods so that each stone is set at exactly the same depth. Just as importantly, the stones are set securely so you never have to worry about losing any stones from your ring. The most amazing fact about their rings is the guarantee. Benchmark wedding rings are guaranteed for life. You might wonder what kind of guarantee that is and what it includes. This is not just a guarantee of original craftsmanship for a limited time, but a guarantee for life! The guarantee policy even includes a guarantee that your ring will always fit. If your ring size changes over the years due to gaining weight or losing weight, Benchmark will resize your rings to fit properly. There is no charge for this service. If for any reason your ring doesn’t appear new anymore, just send it back to Benchmark and they will make it look brand new for you again. You can even send your rings in for free cleaning for as long as you live. This is an amazing guarantee you won’t see anywhere else. You will not be charged for any of this. It is important to register the purchase of all your Benchmark brand rings. However, you won’t have to fill out cards and forms to mail at the post office. Those cards often get lost in a drawer or misplaced on your desk and then turn up again after the allowable time to fill them out. You can register your Benchmark rings quickly and easily on line at the Benchmark web site. This is a nice convenience that shows Benchmark really cares about their customers. Convinced? I know you are. So where do you find Benchmark rings? You can go to their website and use their handy interactive map to quickly find all the retailers near you who sell Benchmark wedding bands and rings. Now you probably want to know about the styles and kinds of rings they have. You know all Benchmark rings are built for comfort and you know the stones will be even and securely placed. But will they have the certain style of ring you have been dreaming about? When you feast your eyes on the many styles of wedding bands offered and crafted by Benchmark you are sure to find the wedding ring of your dreams. You will be gazing at both yellow and white gold, titanium, tungsten, classic, carved, and diamond rings. In each of those categories you will see beautifully designed wedding bands and rings that you will want to buy and cherish for a lifetime. For the man who plans to ask for his girlfriend’s hand in marriage and wants to surprise her with an engagement ring, the jewelry stores can help you make a good selection. If you want to talk to Benchmark professionals who actually craft the diamond engagement rings, they have a toll free number you can call. The experts at Benchmark can help you make an informed decision. It doesn’t get better than that. If you are the groom-to-be, your soon-to-be wife will want to help you choose the rings for your special wedding day. It is best for you to shop together so you can find the rings that will please both of you. You will want to make a decision that you are both quite satisfied with because Benchmark rings never get old and never wear out. You will have these same wedding rings forever, so the ones you choose should be rings you are completely in love with. Rings are not just for engagements and weddings. Benchmark rings can be gifts to commemorate special occasions all year long. Surprise your wife with an anniversary ring. Narrow wedding bands with stones are nice to collect and stack on a finger. Worn together with a wedding band and engagement ring they look quite elegant. They are also fun for conversation starters when someone asks about the rings or comments on how beautiful they are. Each ring will have a special story to go with it. The birth of your first baby is a perfect time to present your wife with a new ring. Give her a ring with the new baby’s birthstone. Some people buy baby rings as well. Mom and baby and even Dad can have matching rings. Another fun thing to do is to buy a thin ring with the baby’s birthstone and as each new child is born into the family add another ring with each of their birthstones. Wear the rings in a stack on your finger. Children remember certain birthdays all their life. You probably remember a few of the birthdays that bring back the best memories. But you might not remember every single birthday. 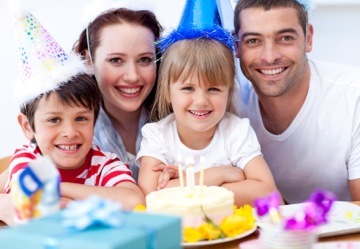 Create memories for your own children so they can remember every birthday by adding to their future with the investment of gold rings each year. Turning ten years old is a special event, because a child goes from a one-digit age to a two-digit age. Buy your child a ring with two stones and explain the significance of the ring you chose. Remember Benchmark will resize rings for free as the size changes. Thirteen is the next most significant birthday when a child feels all grown up because he or she is now a teenager. You might want to take your thirteen year old shopping to pick out a special teenage ring. Teenagers can be pretty picky, so let them help choose the ring. Everyone knows that sweet sixteen is one of those birthdays that requires special gifts. How about a band with sixteen stones running around it? Or a simple ring with “Sweet Sixteen” inscribed inside the band. Many parents today are buying their daughters what they call promise rings. They talk to their daughters about waiting for marriage before engaging in sexual activity. The daughter promises her mother and Mom presents her with a promise ring to wear to help her remember. Whether your son or daughter is turning eighteen or twenty a Benchmark ring will be a lifetime investment for them. Gold will always have value, no matter what the economy does. Invest in the future of your children with quality gold rings. When it is time for high school graduation for your children (and it does happen quickly) buy your son or daughter a ring to remember that special day. If your son played sports have his number inscribed on the inside of the band. Or tell either your son or daughter how proud you are of them on the inscription. College graduation will be the next big milestone worthy of gifting a gold ring to your children. If you adopt a child remember there are two special days, the child’s birthday and the date of the adoption. Be sure to celebrate the adoption day with a beautiful Benchmark ring. Religious events are also the perfect occasion for giving a ring. Consider a quality Benchmark ring for your child’s First Communion or Confirmation. Bar mitzvahs, bat mitzvahs and Quinceañeras are also perfect times to present a beautiful ring to your children. You just cannot go wrong with Benchmark. The quality is unsurpassed. The craftsmanship is meticulous. The selections are exquisite and simply the best rings that can found anywhere in the world. All Benchmark rings become family heirlooms and get passed down from generation to generation. 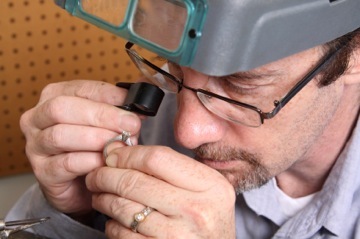 The guarantee that comes with your rings is unlike any guarantee you will get from any other ring makers. They have the best customer service you will find anywhere when purchasing fine jewelry. So what are you waiting for? Go to the Benchmark web site and start feasting your eyes on rings that will make a fairy princess envious.